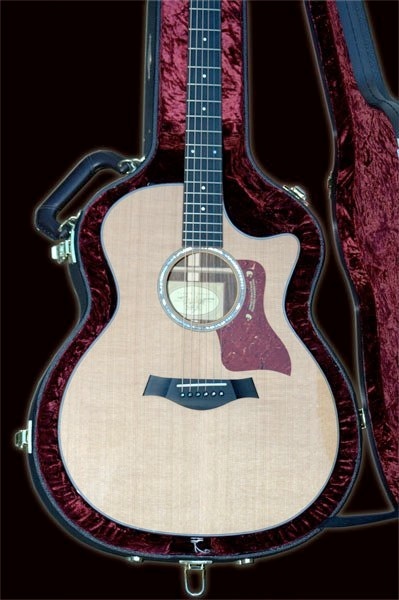 We carry the Cedar Top Taylor 714ce. Currently out of stock but available by order. **From 2013 comes with spruce top. Cedar top available by special order. The 700 series is Grand Auditorium body shape with a clean, understated appointment scheme. The cedar of this model yields the kind of warmth that fingerstylists and other players with a light-to-medium touch will love. Although the inlay and binding work is clean and understated the attention to detail is quite impressive. I found the guitar easy to tune, consistent travelling up the neck, a nice light touch and enough presence for solo guitar work or a studio setting. 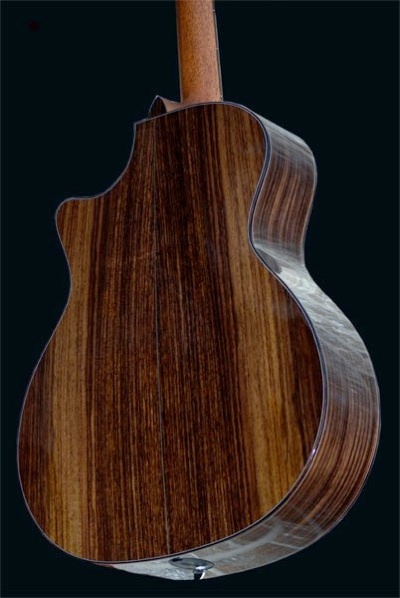 Taylor’s most popular and versatile body shape, the mid-size Grand Auditorium arrived in 1994 bearing refined proportions that fell between a Dreadnought and Grand Concert. While the bigger Dreadnought was traditionally considered a flatpicker’s guitar and the smaller GC catered to fingerstylists, the GA was designed to deliver on both fronts. The shape produced an original acoustic voice that was big enough to handle medium-strength picking and strumming, yet with impressive balance across the tonal spectrum, especially in the midrange, producing clear, well-defined notes that suited both strumming and fingerstyle playing. The GA’s overall presence tracks well with other instruments both in a studio mix and on stage, and singer-songwriters have embraced its utility both for composing and traveling with one guitar. Many people want a single guitar that can cover a variety of styles, which is why the GA continues to be Taylor’s bestselling shape. A great all-purpose guitar.